NINE young table tennis athletes yesterday left the country to compete in the 23rd Southeast Asian Junior and Cadet Table Tennis Championship 2017 taking place at the Toa Payoh stadium of Singapore from today to June 17. 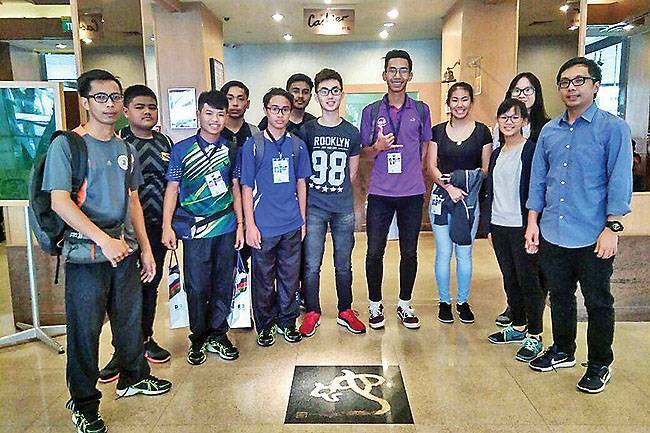 The contingent from Brunei Darussalam is looking to outperform their last result in the same championship that took place in 2015 where two athletes managed to enter the quarter-finals. However, he also cautioned that athletes from Vietnam, Thailand and host Singapore are favourites in the competition. Other participating nations are Philippines, Malaysia, Indonesia, Cambodia, Laos and Myanmar. The athletes representing Brunei Darussalam are Abd Wafi Suhardi, Jason Koh, Awangku Abd Rasheer bin Pengiran Md Noor, Awangku Md Sufi Fakrullah Abdullah bin Pengiran Md Sufian, Md Khairuddin bin Omar, Fiona Hii, Hong Hui Qin and Leong Yi. Head coach Pengiran Md Sofian is assisted by Wee Tzu Min, the assistant coach. 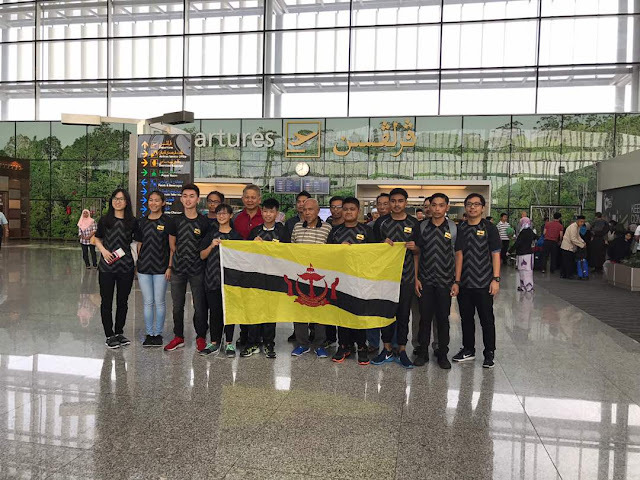 In boosting the morale, Haji Daud bin Haji Hitam, the president of Brunei Darussalam Table Tennis Association handed over the Brunei National Flag to the Brunei contingent. Present to witness the ceremony at the Brunei International Airport was Anthony Liew, the Secretary General of Brunei Darussalam Table Tennis Association. 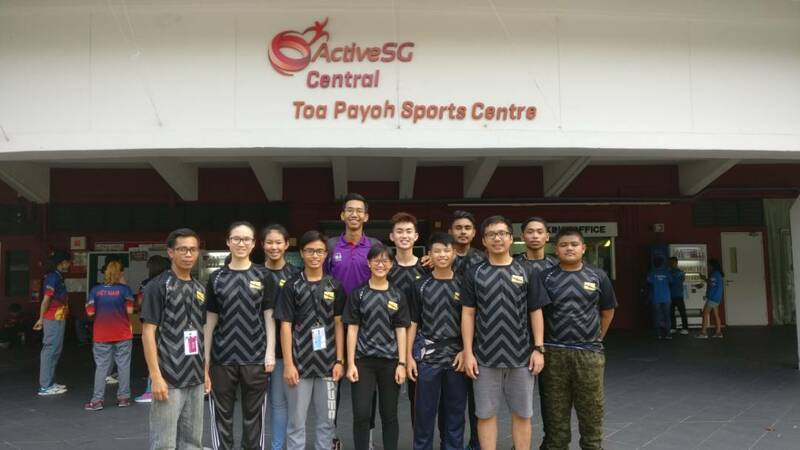 BRUNEI table tennis paddlers got off to a bad start in the 23rd Southeast Asian Junior and Cadet Table Tennis Championships 2017 after the junior boys’ team fell to an emphatic 3-0 3-0 3-0 defeat to Singapore in the opening day at the Toa Payoh Sports Hall in Singapore yesterday. The trio Abdul Wafi Suhardi, Jason Koh and Awangku Md Sufi Fakrullah Abdullah bin Pengiran Md Sufian were convincingly dispatched by their Singaporean counterparts in the junior level tournament. Singapore hurried towards the first set with Brunei’s Abdul Wafi Suhardi on the receiving end of an 11-1 11-8 11-2 humbling by the imperious Ethan. However, Abdul Wafi showed fight in the second set and trimmed a 4-0 deficit to trail by within two points. The Singaporean’s aggressive play armed with precise shot-making qualities proved a bridge too for the luckless Abdul Wafi in the final set in a repeat of the first. Lucas Tan of Singapore put his team in the driving seat after making light work of Jason Koh winning in straight sets 11-1 11-2 11-7. Kun Ting compounded Brunei’s misery after beating Awangku Md Sufi in straight sets 11-2 11-8 11-1. Like Abdul Wafi, Awangku Md Sufi fared better in the penultimate set showing his attacking vigour and forcing his opponent into committing errors as the score reads 6-5 in favour of the Singaporean. Awangku Md Sufi missed a chance to bring the score level to 7-7 when he struck his shot wide before missing the court during his opponent’s serve. The Bruneian junior provided his shot of the set after his return kissed the tip of the court to net a well-earned point. But Kun Ting responded with a smashing volley of his own before reaching match point with a miss from Awangku Md Sufi verifying the confirmation of the second set. 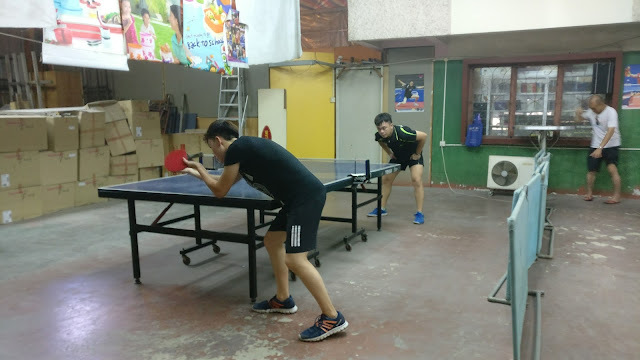 It was no match for Awangku Md Sufi in the final set as the unstoppable Singaporean powered to a 10-0 lead and the Bruneian’s solitary point merely delayed the inevitable. 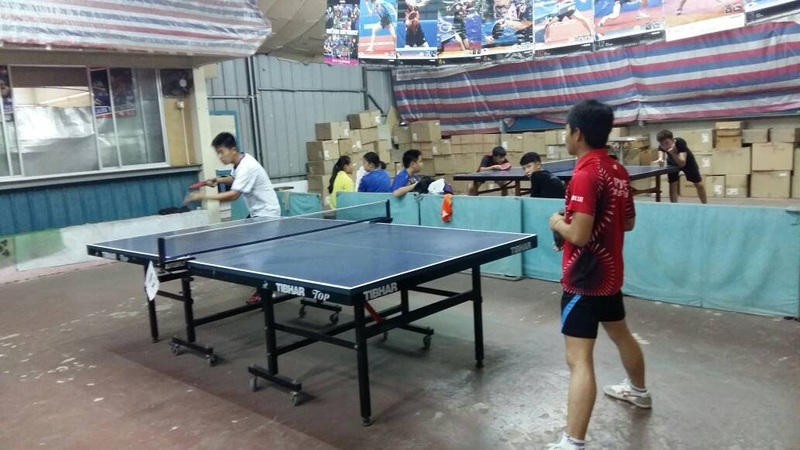 Other results included losing 3-0 3-0 3-0 identically to both Indonesia and Thailand. Brunei ended bottom of Group ‘A’ without a win and a game to their name with Thailand, Singapore and Indonesia occupying the top three. 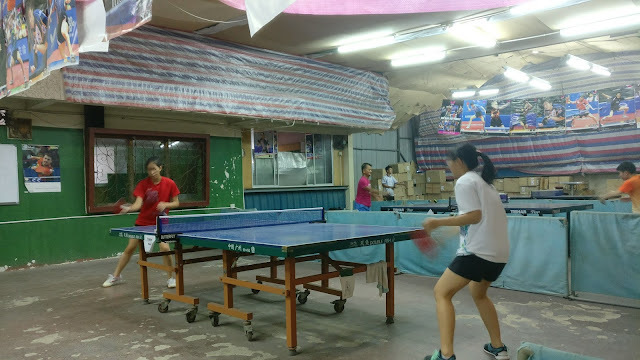 Meanwhile, the junior girls’ team comprising Leong Yi, Fiona Hii and Hong Hui Qin fell to a similar score-line with the boys’ against the same opponents. 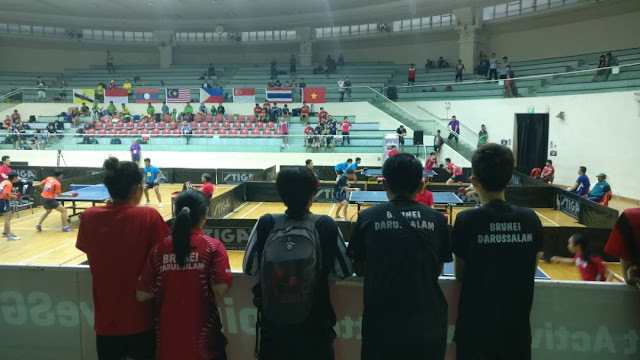 The junior girls team finished at the bottom of Group ‘A’ losing two matches without a game and a win to their name with the other loss coming against Indonesia. 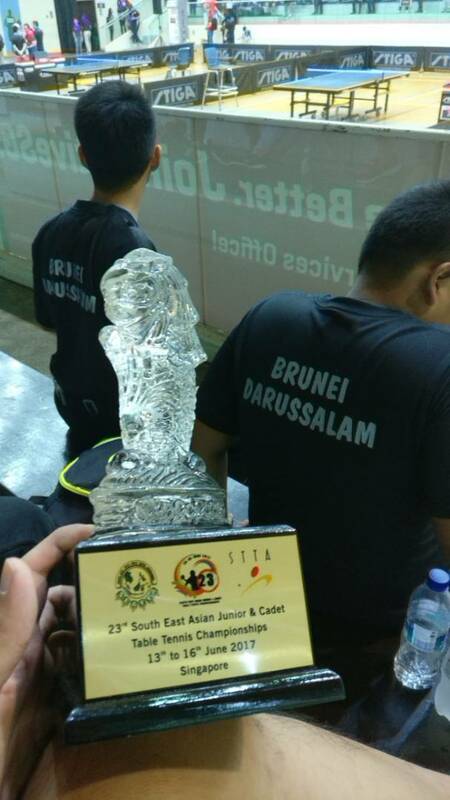 The Brunei Cadet Boys did not have the same luck too as they went down to a 3-0 3-0 3-0 defeat to the Malaysia Cadet Boys. Organised by the Singapore Table Tennis Association (STTA) and sanctioned by the Southeast Asian Table Tennis Association (SEATTA), the tournament saw a return to Singapore which previously hosted in 2002. 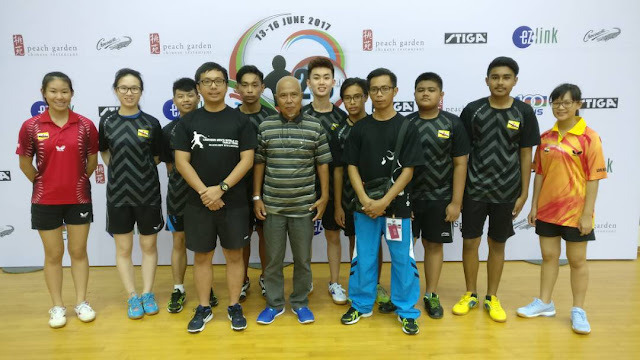 The winners and runners-up of the team events will qualify for the 2017 Asian Junior Championships to be held in Ansan, South Korea from June 29 to July 4. BRUNEI junior mixed doubles pair, Abdul Wafi Suhardi and Leong Yi fought hard in an epic five-set thriller but lost after a brave 11-4, 8-11, 7-11, 11-3, 11-9 defeat to Laos’s Sengarthid Vongdalasith and Youphinh Xaysombath in the 23rd Southeast Asian Junior and Cadet Table Tennis Championships at the Toa Payoh Sports Hall in Singapore yesterday. The Brunei junior duo recovered from a set down to go 2-1 up but after Laos brought the game to a decider, they took the tie in what was the closest Brunei had been to a victory. The other mixed junior doubles pairs suffered heavy defeats in straight sets with the pair of Awangku Md Sufi Fakrullah Abdullah bin Pengiran Md Sufian and Hong Hui Qin falling to an 11-1 11-1 11-6 loss to Singapore finalists Ethan Poh and Xinru Wong and Jason Koh and Fiona Hii losing 11-2 11-6 11-2 to Singapore’s Chia Shing Kee and Eunice Lim Zoe. 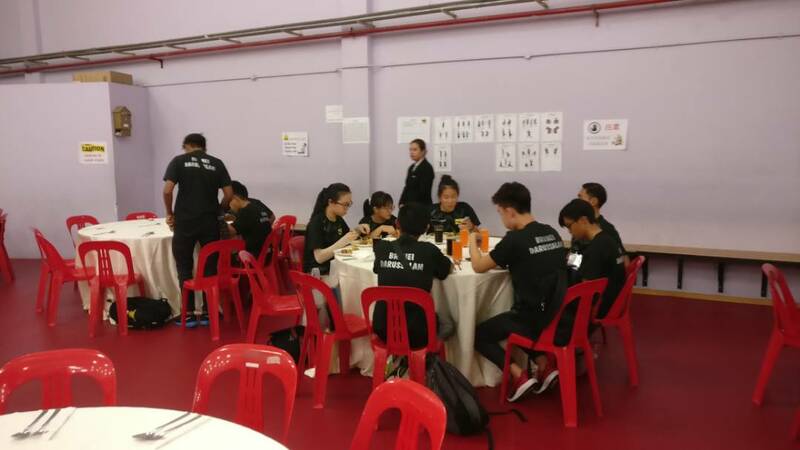 Singapore is guaranteed gold and silver in the mixed junior doubles with Goi Ruixuan and Gerald Yu Zong Jun joining Ethan and Xinru in the championship match. Brunei paddler Awangku Abd Basheer bin Pengiran Haji Md Noor was left rooted at the bottom of Group ‘D’ following a pair of losses in the cadet boys’ singles. Awangku Abd Basheer was humbled in straight sets by both opponents losing to Singapore’s Ang Teng Han Sean 11-7 11-4 11-4 before falling to an 11-6 11-4 11-9 loss to Indonesia’s Hamada. 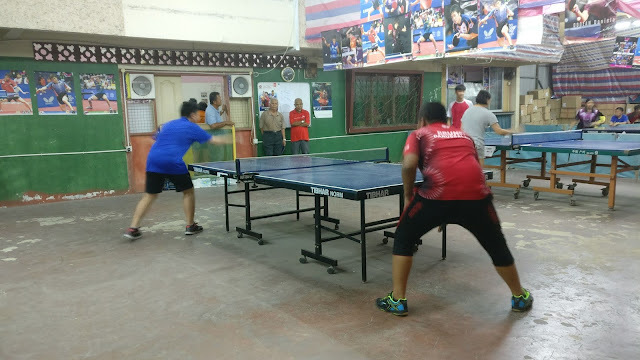 His compatriot Md Khairuddin bin Omar shared a similar fate in Group ‘F’ after an 11-5 11-5 11-5 defeat at the hands of Thailand’s Chanpen Chetthanabodi. Md Khairuddin completed his group stage match with a 11-3 11-3 11-2 defeat to Singapore’s Dominic Koh Song Jun. BRUNEI paddler Abdul Wafi Suhardi advanced to the first round of the 23rd Southeast Asian Junior and Cadet Table Tennis Championships after progressing from the Group ‘B’ preliminaries in the junior boys’ singles at the Toa Payoh Sports Hall in Singapore yesterday. Abdul Wafi’s 11-7 12-10 11-3 victory over Laos’ Kose Vilaivong confirmed the Bruneian a place in the first round despite losing to Singapore’s hotshot Ethan Poh 6-11, 3-11, 1-11 in the opening group match. 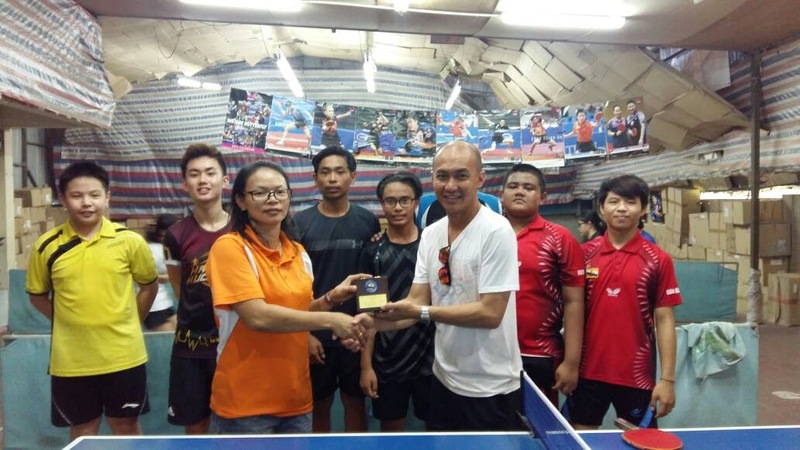 However, the young paddler’s journey in the knock-out stages was cut short following a 9-11, 10-12, 11-6, 4-11 defeat to Malaysia’s Mohd Syazwan Salmi. Abdul Wafi was the only Brunei representative who made it to the first round with his compatriots falling in the first hurdle. 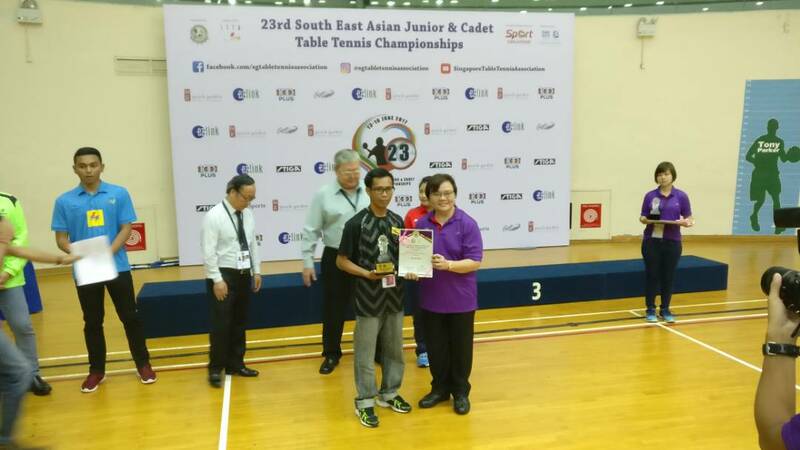 The Brunei paddler was handed a lifeline after reducing the deficit to 2-1 in the third set against an opponent who represented his country in the World Team Championships last year. 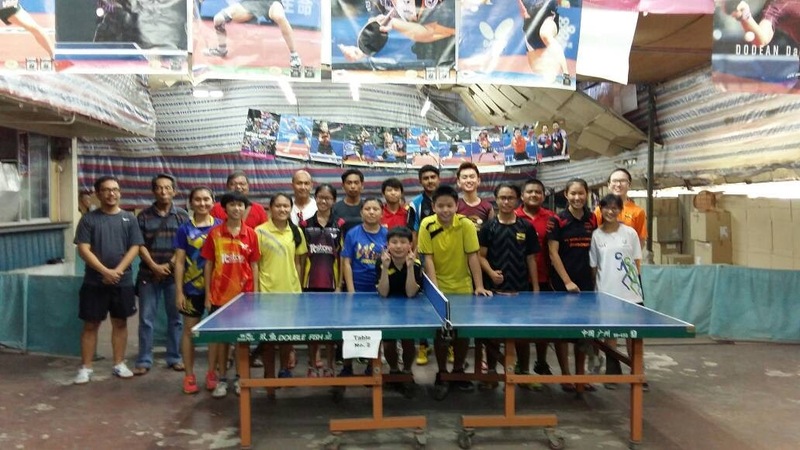 There was further misery for Bruneian male paddlers Awangku Md Sufi Fakrullah Abdullah bin Pengiran Md Sufian and Jason Koh as well as female paddlers Fiona Hii and Leong Yi as they were all eliminated in the junior boys’ singles and junior girls’ singles. 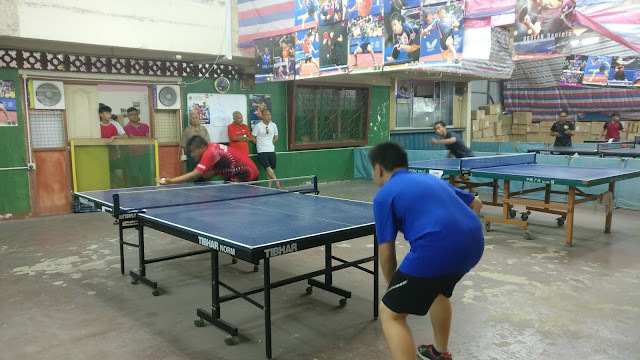 Awangku Md Sufi was defeated 4-11, 3-11, 6-11 to Philippines’ Jann Mari Nayre and 5-11, 4-11, 3-11 to Singapore’s Josh Chua Shao Han in Group ‘D’ while Jason Koh lost 3-11, 7-11, 6-11 to Thailand’s Supakorn Pankhoyoi and 6-11, 8-11, 4-11 to Vietnam’s Phuong Long Ngo Bao. Fiona was soundly beaten 3-11, 3-11, 8-11 to Singapore’s Nicole Lew Zermaine though she improved slightly in her final Group ‘B’ match of the junior girls’ singles in a 6-11, 2-11, 11-9, 2-11 defeat to Indonesia’s Minawati. Leong was also defeated in straight sets in a 3-11, 7-11, 2-11 defeat to Philippines’ Sherlyn Love Gabisay before concluding her Group ‘K’ match with a 3-11, 6-11, 5-11 loss to Singapore’s Pearlyn Koh Kaixin. 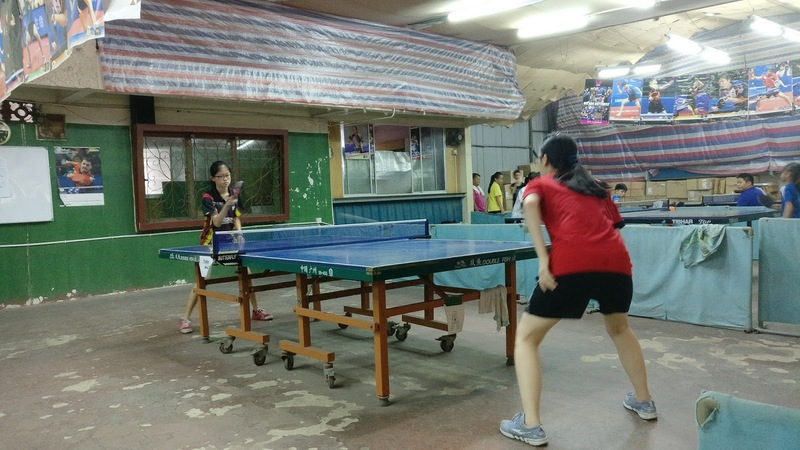 Leong also lost 5-11, 3-11, 6-11 to Vietnam’s Phuong Uyen Ho. 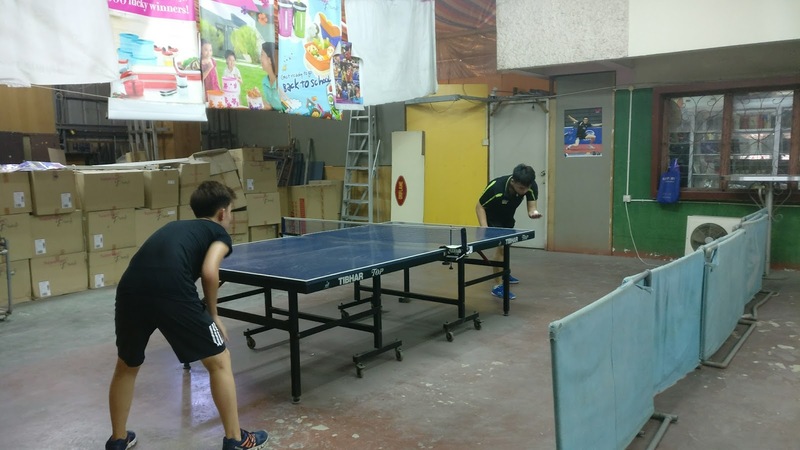 The junior boys’ and girls’ doubles also suffered early exits in the first round though the junior girls’ at least contested a fourth set. The junior girls’ pair of Fiona and Leong took the second set in the 4-11, 12-10, 4-11, 5-11 loss to Singapore’s Pearlyn and Yu Lu Hua. The pair of Awangku Abdul Rasheed bin Pengiran Haji Md Noor and Awangku Md Sufi lost in straight sets in a 2-11, 6-11, 1-11 defeat to Singapore’s Bevan Tan Jin Kai and Josh Chua while Abdul Wafi and Jason missed the chance to move to the quarterfinals after a 6-11, 7-11, 5-11 defeat to the Malaysian pair of Fong Jay Shern and Mohd Syazwan. BDTTA Juniors and Cadets VS MTTA juniors and Cadets. Thank you to Mr Robin Lin of Able Link TT Centre & Miri TTA for welcoming us to his training centre. 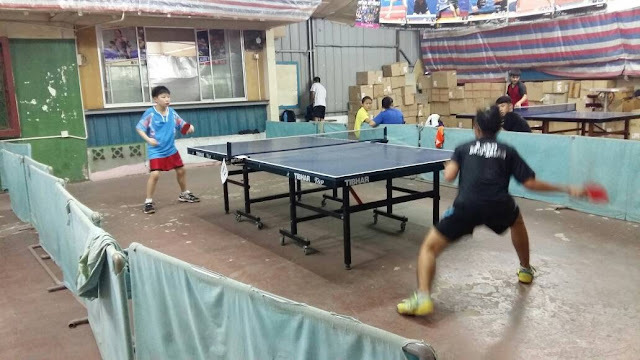 9 of Brunei's best youth paddlers will battle it out with the region's best table tennis youths!